IN 2 MINUTES, ENJOY BENEFITS FOR 2 YEARS, SIMPLY REGISTER ONLINE NOW FOR £50. 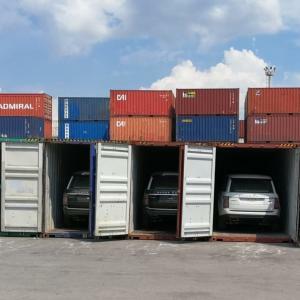 BATI Shipping & Trading have recently completed another successful job, this time the urgent stuffing, lashing and shipping of 27 Vogue Range Rover SUVs from Gemlik in Turkey to Jebel Ali, UAE. Mr. Kaan Aydin, Business Development Manager at BATI, states; "Our Bursa office is very much interested in such challenging and big shipments as this one. The biggest challenge here was not the cargo itself but the urgency and quantity of vehicles. However, we managed to successfully load the 27 Range Rovers into 27 TEUs in the short time given to the satisfaction of our client. These are the jobs that I admire!" Our simple but effective procedure enables you to obtain advice and pricing from all registered forwarders in the country of origin, providing a variety of options. We want Freightbook users to have a good experience with our website, whether on a large PC screen or on their mobile devices. BATI Group has started to build a special equipment fleet of containers. Cargo Connections 2019 Annual Assembly Twitter Competition Entries! All material on this website is registered with the UK Copyright Service.